Although Mole•Master’s proprietary Big•Mole™ turnkey silo, bin, and vessel cleaning system does not require human entry, there are some situations in which personnel still need to enter a silo or storage vessel. Silo inspections, for example, require entry into the vessel. 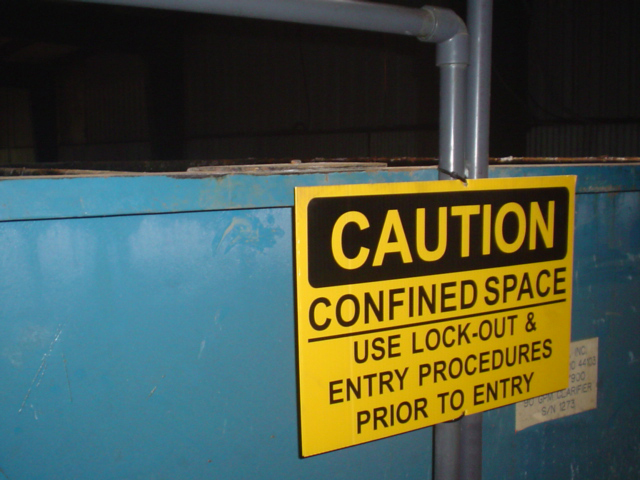 Entry is required if jack hammering is needed, and many food processing projects also require confined space entry to scrape or brush down the silo walls. Mole•Master personnel maintain the highest levels of training for MSHA and OSHA Confined Space Entry standards. Safety Meeting: Before any work begins, Mole•Master personnel will meet to review possible hazards, emergency procedures, general safety issue and site specific factors that must be understood while working at the site, This typically includes an initial meeting with the designated plant contact to discuss the scope of the project and set proper expectations. When necessary, sign-offs must be collected before the project can start. Lock Out/ Tag Out: Before any silo inspection or cleaning begins, all Mole•Master personnel position a lock and an accompanying tag on all power sources. Plant employees then proceed in the same fashion. This ensures that everyone on the project is aware of who is working on the silo. All of the equipment is tested to make sure it is properly shut down. Gas Monitoring: Once all electrical equipment is powered down, the air inside the vessel needs to be tested to make sure it is safe. A gas monitor will be turned on before entry so that it can calibrate and cycle through its self-checks. Next, the calibration cup is attached to the unit, and the bump test gas tube is connected. The bump test will confirm that all sensors are responding properly. If all goes well, the calibration cup is removed and the gas monitor will get attached to the sampling pump and secured in place. Once the sampling pump has been turned on and tested for false alarms, the pump and monitor are lowered into the silo. Those readings get recorded on the CSE permit form. Proper PPE: A safety harness is one of the most important safety tools a Mole•Master employee will need on a confined space entry project. Before the harness is used, Mole•Master checks the last time the harness was tested and confirms the harness has been inspected within the time frame the manufacturer requires. The harness will then be inspected to make sure there are no cuts, abrasions, and wear. The steel should not be rusted or pitted, all safety labels should be intact, and the snaps should be tested. The harness should be tight around the legs, but not too tight. If fitted properly, the D-ring on the back should be directly between the shoulder blades. Mole•Master personnel will also wear a protective face mask, hard hats, and ear protectors. The Tripod: A sturdy tripod is set up over the entry point, and the harness is connected to the tripod. The person entering the silo is lowered and brought back up through a hoist, also located on the tripod. 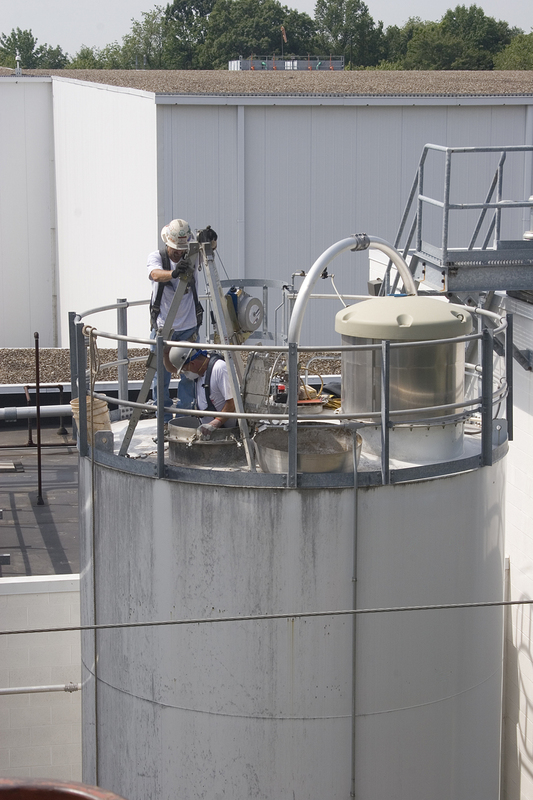 Confined Space Entry is just one aspect of Mole•Master’s comprehensive silo & bin cleaning service offering. Contact us today to discuss your specific project.